Xyngular Xyng with its special composition of natural plant minerals, components and vitamins is specially made to help boost your energy, suppress your appetite, control craving and suppresses appetite* and keep this situation during the full day. Along with positive power, Xyng can also support you reach your weight-loss aims. Basic need for weight-loss is not just to eat less and more fit but also to get more workout. 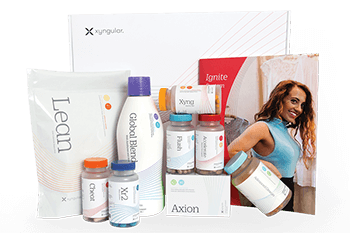 Xyngular Xyng is a proprietary mixture of natural ingredients made to help you reach a fit weight*, tone up and feel amazing while doing it. The strong ingredients contained in a little capsule of XYNG are powering people and changing lives daily. During the day we have so many chances that drain our power that we no longer have any left for workout which is so supportive. Thanks to Xyng you can “catch second breath” and use it for exercise which will not only shape your figure* but you will also feel better and improve your health*. Xyng could give you the energy boost and help you be more active* in your everyday life. VITAMIN B12 – Essential for metabolism of proteins and fats and essential for red blood cell production. CHROMIUM – helps to stabilize blood sugar levels and can be critical to the synthesis of cholesterol, fats and proteins. PHENYLETHYLAMINE – (PEA) is a compound that is naturally found in the brain Benefits include: mood, mental acuity, energy, and focus. fat for fuel as opposed to carbohydrates and improve athletic performance by increasing exercise endurance. RHODIOLA – Is to help balance hormones and support the body’s natural resistance to stress. EVODIAMINE – which is a bioactive alkaloid extracted from Wu Zhu Yu, an herb used for hundreds of years for weight loss in Asia. Evodiamine promotes fat metabolism and fights fat storage, acts as a diuretic, and works as a powerful thermogenic. SCLAREOLIDE – Increases energy and helps maintain lean muscle mass during weight loss. Sclareolide works to increase ATP conversion to cAMP, which then speeds up several cellular processes including fat metabolism and thyroid production. COLEUS FORSKOHLII – and UNDARIA extract which both increase production of thyroid hormones. 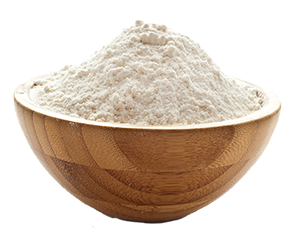 UNDARIA PINNATFIDA EXTRACT – Undaria Extract has been recognized as an amazing source of the active lipid compound fucoxanthin. Fucoxanthin has been shown to increase the rate at which abdominal fat is burned. Fucoxanthin accomplishes this task through increasing the production of a protein called UCP1, which then uncouples white fat from the fat cell, freeing the fat up to be burned. Would you like to order just an Xyng supplement and not whole weight loss package? Not problem. Choose your preferred option and enjoy its benefits. 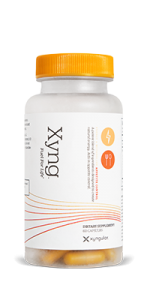 Do you have more questions about Xyngular’s natural energy booster Xyng? Read more and find everything what you need to know before buy. How do you recommend using Xyngular Xyng? We recommend consuming 1 capsule of Xyng with food, no later than 3pm. If Xyng is well tolerated then it can be consumed on an empty stomach. Can I take Xyng with my medication or condition? What makes Xyng different from other energy pills? Xyng is not your typical energy product. The unique combination of ingredients in Xyng burns fat, boosts energy, improves mood, and suppresses appetite. Xyng is truly fuel for life. How much caffeine is in Xyng? I took Xyng and turned red and felt warm, almost like a rash. Unless an allergy is present, this is likely the Niacin flush effect. It is a harmless effect of consuming slightly too much Niacin and typically subsides in no more than 20-30 minutes. How many softgels are in each bottle of Xyng?